CAVERN-X - Uncanny X-Force blog! 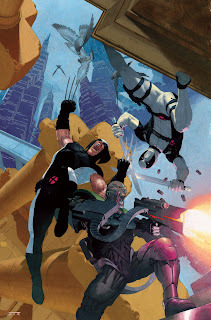 : Uncanny X-Force #7 & #8 previews! 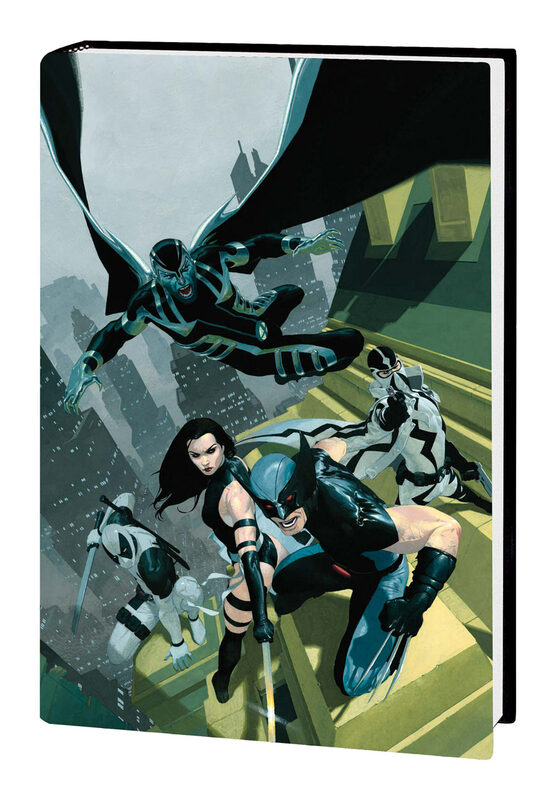 The hordes of the Deathlok Nation continue to flood into our world, intent on killing Fantomex and protecting the super soldier production facility known as The World…but why? With The World now infected by the Deathlok virus, and X-Force locked in heated battle with the most powerful warriors in the Marvel Universe, humanity’s hopes rest in the hands of one man, but who is Weapon Infinity?! Wolverine promised Cyclops that X-Force would disband. He lied. A secret society has resurrected En Sabah Nur, putting into motion events that will turn this age of heroes into an Age of Apocalypse! To hold them back, Wolverine and Archangel bring together Fantomex, Deadpool and Psylocke to form the Uncanny X-Force! Stained by their history, they are the only ones capable of making the hard resolutions necessary. A band of likeminded friends and mercenaries set to one purpose, one big ugly task: kill Apocalypse by any means. Collecting UNCANNY X-FORCE #1-4 and material from WOLVERINE: ROAD TO HELL.